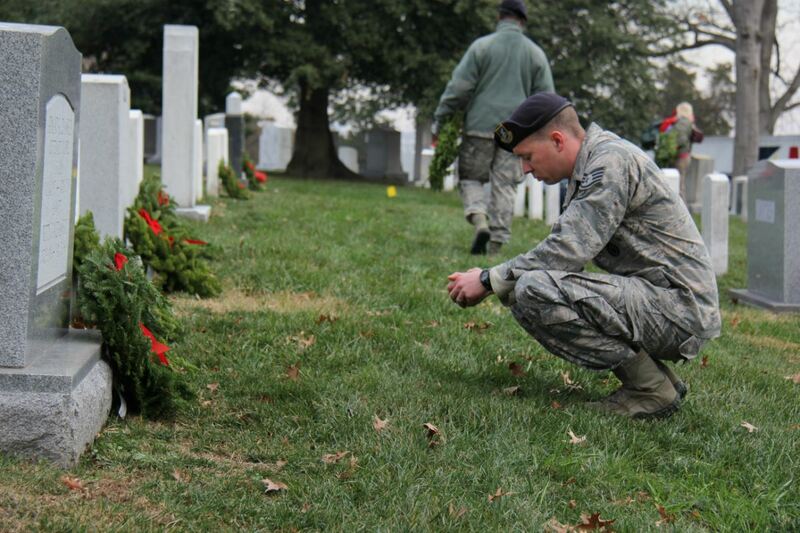 With each and every $15 donation, we place a wreath on the grave of a fallen U.S. veteran. When you donate to WAA your money goes to a wreath first, and we operate on the small margin remaining after purchasing and placing that wreath. $0.86 of every dollar donated goes toward wreath sponsorships, shipping costs not covered by our trucking partners, and fundraising group paybacks. Total WAA nationwide staff less than 30. Executive Director and Chairman of the Board are volunteers. Nearly 1,500 participating locations and 30% annual growth each year since 2007. Please note that since Wreaths Across America is on a fiscal year and not a calendar year, the 990s listed below will have the beginning of the fiscal year as the tax return year (i.e. June 30, 2017 will show as 2016 990). 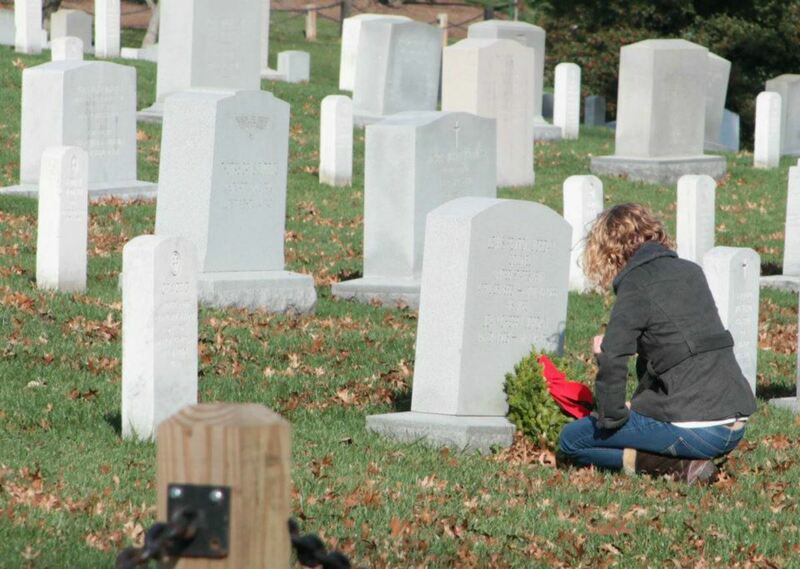 How do I know Wreaths Across America is a charity worthy of my support? Wreaths Across America was started as a 501(c)3 non-profit in 2007, over 15 years after the first wreaths were donated to Arlington National Cemetery (1992) by Morrill Worcester and the Worcester Wreath Company. In fact, WAA was formed as an organization in response to the call from individuals around the country who heard about the wreaths being donated to honor veterans, and who expressed an interest to support the efforts at Arlington and to bring the Arlington wreath experience to their own communities. In the last ten years, WAA has grown by leaps and bounds, with over 1,000 participating locations nationwide, 2,500 fundraising groups and in 2016 will place over a million wreaths in total—all in the mission to Remember the fallen; Honor those who serve (and their families); and Teach our children about the high cost of the freedoms we enjoy each and every day. When you give $15 to sponsor a wreath, you will know exactly where those dollars are going, and that a veteran who gave his or her service, or even made the ultimate sacrifice will never be forgotten. Early in 2016 WAA engaged a high profile legal firm, Venable LLP, to do a legal review of WAA’s practices and policies to ensure that WAA’s mission is always carried out in full compliance of all legal and best practice policies. Although Venable found no improprieties in WAA’s operations, it did recommend several items to comply with best practices in nonprofit operations. As a result, we have made improvements in both control policies and updated our web pages to provide even more transparency by addinga Whistle Blower Policy ( to be implemented in 2017) and to directly address concerns about the connection between WAA and Worcester Wreath Company. The truth is, having WAA as a customer has not been a profitable endeavor for Worcester Wreath Company, as evidenced by the company’s accountants’ statements provided to the WAA Board. However, WAA does not want misconceptions about this relationship to undermine its charitable focus. As a result, In 2016, the WAA board formed an RFP Committee and began the process for the 2017-2019 contract. This process was developed with advice from legal counsel and under the direction of an experienced RFP writer. The criteria for the RFP is based on the specific needs of and in the best interest of WAA. The process is outlined here. Is this another non-profit organization run by executives receiving big salaries? Wreaths Across America is very proud of its heritage as a grassroots organization that was formed in response to the request from volunteers all across the country. 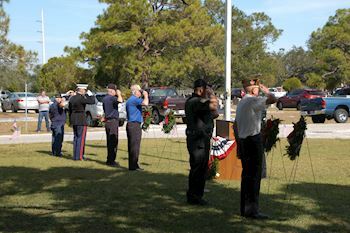 The administrative costs are less than 20%, with $.86 of every dollar going to the core mission of placing wreaths. 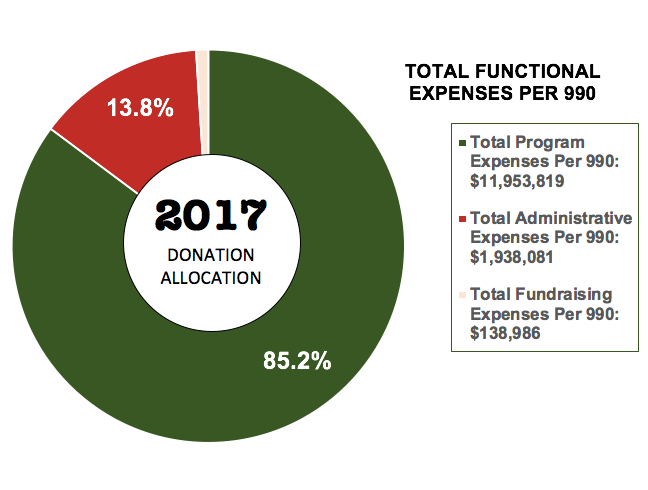 Neither the Executive Director (Karen Worcester) nor the Chairman of the Board (Wayne Hanson) receive a salary for their efforts, despite full time work and deep commitment to the mission. You can learn more about our financial disclosures on this page. 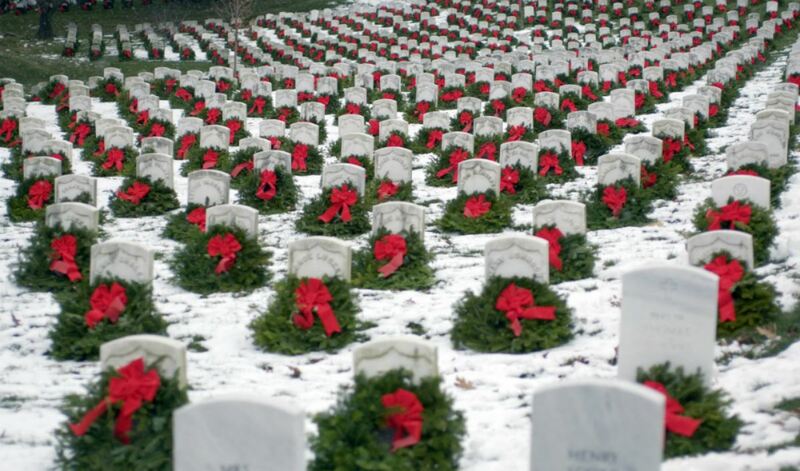 How much does Wreaths Across America make with each sponsored wreath? 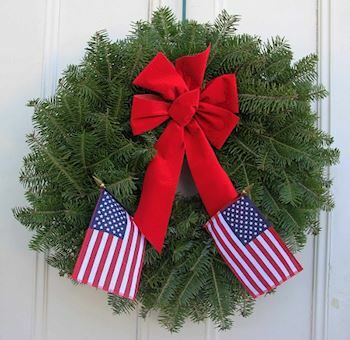 Each sponsored wreath costs $15, with $5 being allowed to the fundraising program that is paid back to our many fundraising partners including Legion Posts, VFW’s and Auxiliaries, Civil Air Patrol Squadrons, school groups, Boy Scouts and Girl Scouts, and other national non-profits like Easter Seals. The remaining $10 procures the wreath, delivered to a participating location, and funds the Wreaths Across America in its year-round mission to Remember, Honor, and Teach. 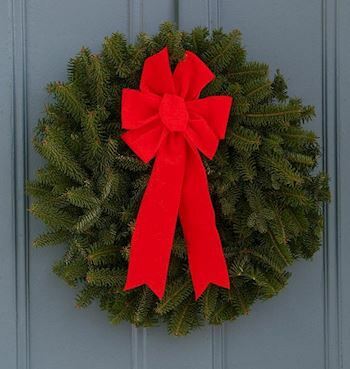 Each wreath is a hand made (what they call mail-order quality) wreath using domestically grown balsam fir, and hand-crafted right here in the United States. The wholesale market price for an equivalent wreath is $12-15 per wreath. It is intentional that a highest quality wreath was chosen as this gift of remembrance for those who made sacrifices that can never be repaid. The Wreaths Across America wreath is a symbolic gift of appreciation from a thankful American, adorned only by the red velveteen bow. You can learn more about the significance of the wreath in the above video by WAA Founder Morrill Worcester. Who provides the wreaths? How is that decision made? Worcester Wreath Company currently hold the contract for providing wreaths to Wreaths Across America, and has done so since the organization’s inception in 2007. 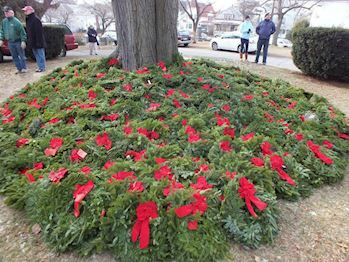 Before that, Worcester Wreath Company donated over 5,000 wreath each year in what was then known as the Arlington Wreath Project. 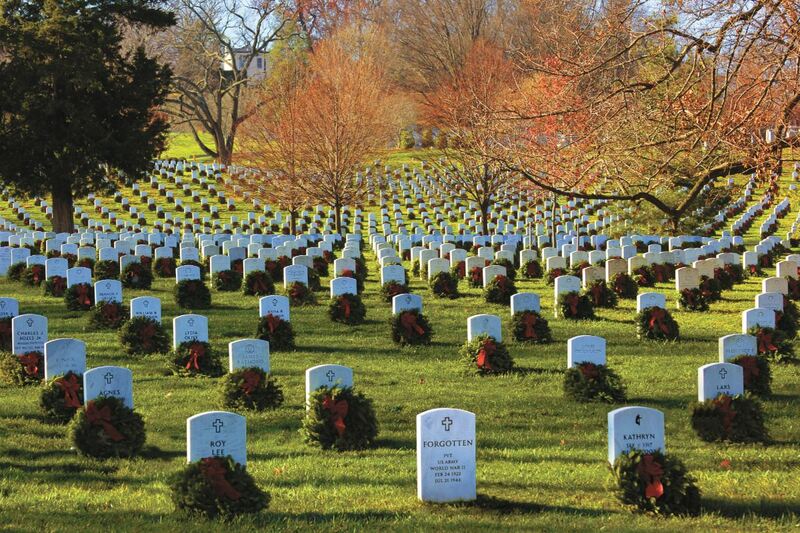 Wreaths Across America is governed by a Board of Directors. On its creation, Karen Worcester stepped away from the Worcester companies to work full time on the non-profit organization as its first Executive Director, at no salary and a deep commitment to the mission. WAA has a conflict of interest policy, with any Worcester-related Board Members recusing themselves from decisions related to the wreath procurement contract. All business relationships between WAA and Worcester Wreath Company were disclosed to the IRS prior to its designation as a 501(c)3 status in 2007 and review in 2012. To further establish the non-profit and vendor relationship, WAA implemented a Request For Proposals (RFP) process in 2016, The process was developed under advisement of legal and procurement professionals and is being executed by a WAA Board RFP Committee. The process is described on the WAA web site under Vendor Inquiries. Will there be multiple vendors providing wreaths? Yes, when and if there is more than one company willing to meet the established criteria required to operate the wreath program at a national level, and at its quality standards. The logistics and deployment of contracts are considerations in making decisions in the be interest of WAA . Interested vendors can find information on the WAA web site. What is unique about the Wreaths Across America RFP, that many people might not know? Most significantly, the lack of a purchase order. The wreath vendor must be able to scale up to meet demand, but will be given no hard commitment of wreath totals. How do I know WAA is not just a front for one Maine company to get rich selling more wreaths? If you have met Morrill Worcester or the Worcester family, you would not need to ask this question. But not everyone has had that opportunity. In 2016, Morrill Worcester and Worcester Wreath Company provided the WAA Board of Directors with a certified letter from his financial audit, explaining that since 2007, Worcester Wreath Company has grown to meet the demands of Wreaths Across America but has operated at an overall loss. In 2013 and 2014 the company did produce a small profit as the result of a growing retail customer base, of which 50% of that profit was donated back to the Wreaths Across America in support sponsored wreaths. What if I still have questions about the mission of Wreaths Across America? If you are able to travel, we invite you to come to Maine to the small town of Columbia Falls and to the Wreaths Across America Headquarters. See the small museum, meet the people behind the mission, and go out on the land to tag a tree as part of the Stem to Stone program. With this direct experience, you will see why the mission to Remember, Honor, and Teach means so much, to so many—and why the wreath-laying tradition grows each year. Friends and family invite others. The wreaths become a catalyst for the conversations and connections that last a lifetime. It is most important, that folks understand “we do NOT decorate graves” as explained by WAA Executive Director Karen Worcester in the video here.